All of the so-called education reformers want teachers evaluations based upon student growth. Many of them have lobbied statehouses to enact laws mandating a growth model in evaluations before really thinking about how we measure “educational” growth. Politician see poor academic achievement on standardized tests and begin to blame the educational system. These test scores are an easy tool to look at and see that the American Educational system needs work when compared to other nations. But do the test measure student growth? And can this growth be attributed to individual teachers? Probably not!! Parental Nurturing- Exposure to reading, writing and other educational opportunities at a young age. I am sure that their are more. We can’t just take a standardized test score and use it to show growth attributed to teaching. So of the score might be due to teaching, the rest to this other factors. The other major flaw in this measurement of growth plan is the assumption that all students grow in a linear manner at a same rate. Using this assumption then: all students show walk and talk at the same time. Students should all be potty trained at the same time. 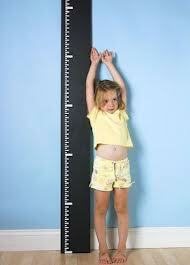 We could also assume all students would be same height and weight. Every American know this all not to be true. So why are we assuming all students can the same material at the same rate? This is ludicrous!!! Students all start and hopefully end at the same place in their educational journey but all of their paths are unique and individual. Some students need more time than others. Some will go every which way but the direction desired until the right intervention is put in place. Our educational systems goal is to get to success no matter where the journey takes us. 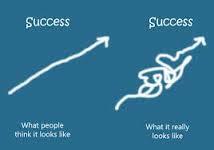 Our goal is NOT to have every student take the same journey to success. If it was our world would be quite a boring place. Hopefully politicians will see the error in their ways. New measurements will be put into place. Then teachers won’t feel like they have targets on their backs. Let make sure we look at the journey instead of focusing on the end results. The educational journey is what makes us all unique. Next Post How you do something matters! !